punk/ rock like in my outfit or more elegant for an evening out. myself with nice Sunday lunch in my favourite Nepalese restaurant. power for the new working week. You look so stylish and stunning! You look great. The dress is awesome and I also like your pretty shoes. It looks so cool!! Like it!! Hey there, loved your blog, just followed you on GFC, (1071) would you mind to follow back? Nice! Got those Marc ballerina's too :) definitely my favorites! so stylish and love the delicate tartan skirt! this outfit is so amazing! i am loving that celine hunny! I love the outfit! The mix between different patterns is fantastic! WHat do you think about this look? Thanks!! Btw I follow you with Bloglovin', would you like to follow me as well? Thanks! Stunning as usually! :) But I always wonder who takes photos of you? romantic and edgy! what a beautiful combination... great look.. I saw it at Zara, and find it nice but difficult to wear it, thanks for giving me some inspiration! Great!! Really love your style! 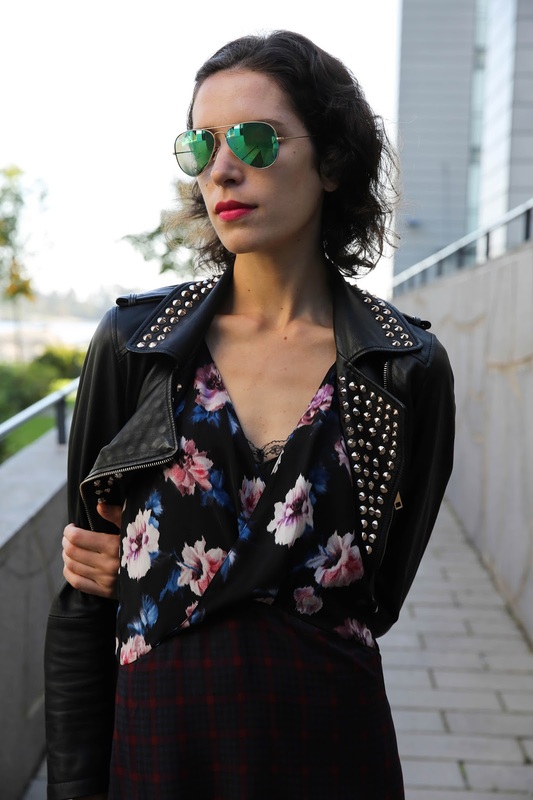 Great look, very rock n´roll!